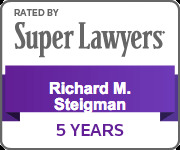 Richard Steigman’s affiliation with the firm began nearly a quarter century ago with his work as a paralegal. 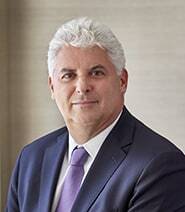 After attending Franklin and Marshall College and graduating "With Distinction" from Hofstra University School of Law, where he was a member of the Hofstra Law Review, he joined the firm as an attorney in 1997. As a partner at GGCRBHS&M, he performs all facets of personal injury litigation, including preparing complex cases from start to finish, serving as a trial attorney, and submitting appellate briefs. He has tried cases throughout the metropolitan area and argued appeals in both State and Federal Courts. He is known to those who work with him on a day to day basis as a "problem solver" whose insights and innovative ideas greatly contribute to the successful results obtained by the firms’ clients. He has lectured to fellow members of the bar for the New York State Trial Lawyers Association and the Practicing Law Institute, and law students at law schools such as Hofstra and Cardozo School of Law. His knowledge in the field has not gone unnoticed by lawyers throughout the State – he has been called on to field questions and solve difficult problems by many members of the bar. He is widely recognized as one of the most knowledgeable attorneys in the State. He has contributed to numerous outstanding results for our clients, including successfully handling an appeal in a wrongful death action involving a pedestrian stuck by a truck which ultimately settled for $26 million, and achieved numerous multi-million dollar results as a trial lawyer, including medical malpractice cases involving failures to diagnose and treat diabetic retinopathy, a failure to diagnose an acoustic neuroma, and personal injury cases including a $5.5 settlement against the Police Department of the City of New York for striking a man with a police car who was fleeing on a bicycle. 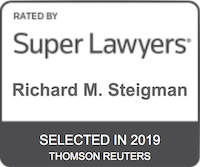 In addition to his interest and experience in cases involving car accidents, medical malpractice and premises liability, Mr. Steigman also has handled cases involving civil rights violations and employment law. 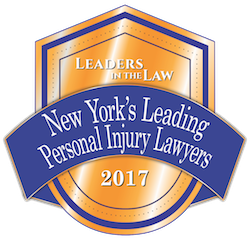 His memberships in professional associations include the New York State Bar Association, the American Association for Justice and the New York State Trial Lawyers Association. "Getting the Picture: Using Exhibits Throughout a Trial," New York Law Journal, July 31, 2008. $26,000,000 settlement for a pedestrian struck by a truck in a personal injury action. The decedent was a research analyst at a well regarded brokerage firm who was on her way to work when the truck made a right turn striking her while she was walking in the cross walk. $5,400,000 settlement in a Monroe County medical malpractice case on behalf of an infant who suffered brain damage as a result of the doctors’ failure to perform a timely caesarian section. $4,800,000 verdict for the wrongful death of a 8 year old child killed as the result of the negligence of a truck driver. $3,000,000 settlement in medical malpractice case on behalf of a woman who lost hearing in one ear and developed meningitis as a result of her doctors’ failure to diagnose an acoustic neuroma. $2,800,000 settlement against an optician on behalf of man who suffered legal blindness as a result of a the optician’s failure to refer him to a specialist for treatment of proliferative diabetic retinopathy.